In other words, weighing yourself can be something of a double-edged sword. 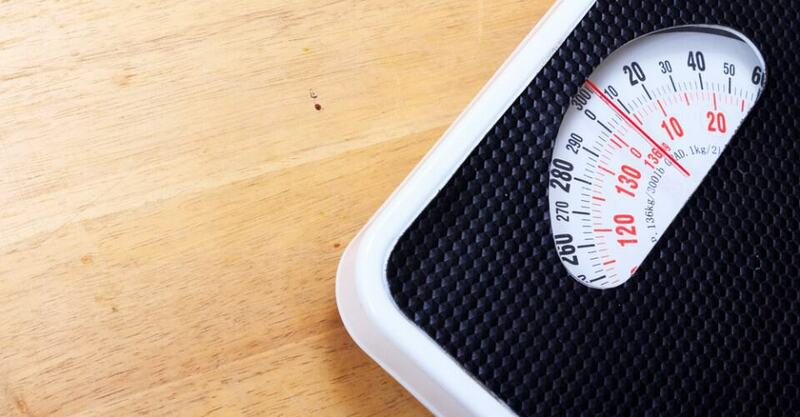 It helps to get on the scale once a week, but climbing on every day may give an inaccurate reading of your weight-loss progress because there are hour-to-hour variations in body weight. You might be expecting too much too soon and judge the true state of your progress too quickly. Monitoring your weight-loss progress can be a lot like monitoring the return on an investment in the stock market: While it’s important to look at yearly returns, checking on your investment every day could give a less realistic picture than taking the longer view. Best advice? Maybe a compromise — three to four times per week. The decision often depends on your mood, says David L. Katz, M.D., professor of public health at Yale University School of Medicine. “Sometimes you just need something sweet — so dessert it must be. Other times, you can take dessert or leave it.” But, “If all the appetizer options are breaded and fried, and there is a sorbet with berries or a fruit salad option for dessert, then I’ll opt for dessert purely for better nutrition. If the first appetizer is a mixed green salad, and the second is grilled shrimp, however, both your appetizers are quite nutritious and far better choices than cream pie or chocolate cheesecake. While we often think of food choices in categories, nutritional quality really comes down to the specifics,” he adds. We hear it time and time again from nutritionists and diet gurus — drink lots of water. Is it really true? Well, in spite of the clear anecdotal evidence that drinking water can lower food consumption and alter metabolism, there had been no studies to prove it — until recently. A study from the Children’s Hospital Oakland Research Institute found that increased intake of water is associated with “greater loss of body weight and fat.” So drink up and lose weight. What about calories and muscle building? “If a person is injury-free and can run, he or she will probably burn more calories running on a treadmill versus an elliptical workout. An elliptical trainer is good too, though, because it works the muscles of the legs in a different way. In terms of the psychology of exercise, it might be good to exercise on a treadmill one day, then come back the next day and work on an elliptical,” adds Bracko. Leigh Crews, national spokesperson for the American Council on Exercise, says that those with “mobility problems in their ankles may find an elliptical trainer uncomfortable,” but those with hip or knee problems may find it more comfortable than the treadmill. Also, either machine will allow you to move forward or backward. “Changing directions works your muscles in different ways and reduces the risk of overuse injuries. There is some research to support the theory that walking backwards on a treadmill can help improve your posture, as it causes you to stand up straighter while you walk,” adds Crews. Bottom line: “The ‘best’ exercise is the exercise you like to do. So pick a treadmill or an elliptical, whichever you like best,” says Bracko.